This is often a question we’re asked and with nearly infinite options available to you my first response is; where ever you want to. Obviously, for some this may be a more frustrating response than helpful but its honestly the case. 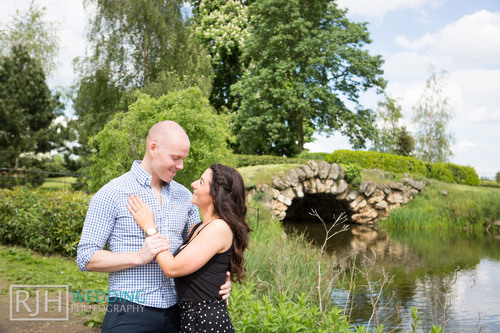 You don’t need to worry if a location is picturesque or otherwise viable for photography, that’s our job. Instead think perhaps of where would mean the most to you? Where did your other half pop the big question? Where did you go on your first date? If any of these questions spark an idea or bring a smile to your face, then we’re happy to explore them. Alternatively, if you are really open to suggestion then we are happy to take the lead in choosing the actual location though let’s try to narrow it down a little. What sort of location do you have in mind? Are you looking for big open vista’s, country houses, getting more in touch with nature in a forest or by a stream or are you more drawn to the lights and sounds of the city? Being based in Sheffield and having the Peaks on our doorstep we’re blessed with all of these options within easy travel. Equally, if you’d prefer to go somewhere a little further afield with a trip to the coast or even a hop over to Europe then we can certainly arrange something for you. Once we’ve got the date and the location we need to pick a time. Depending on the type of shoot we would usually start about an hour before twilight so that we can take advantage of the gorgeous soft evening light. The hour after sunrise and before sunset are referred to the Hollywood hours as they offer the best natural light to capture both flattering and dramatic images. If you can help us to narrow down your preferred location for your pre-wedding shoot then we can assure you some amazing images to help you prepare for your wedding day or perhaps as that perfect addition to the day itself with one of our popular signing frames or pictorial guestbooks.